Kanbayashi Shunsho Honten/上林春松本店 has been producing tea in Uji since 1558. Tea processing was done in what is now the Kanbayashi Kinenkan Memorial Hall until a new modern factory was opened just 2 kilometers away. 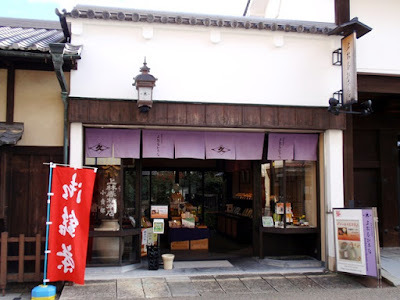 Kanbayashi Shunsho's teas have been sold exclusively through high-end retailers until 2010 when this first tea shop opened on Uji-bashi Dori next to Kanbayashi Kinenkan Memorial Hall. Inside the tea shop, you'll find their entire line of teas, teaware, and gifts. 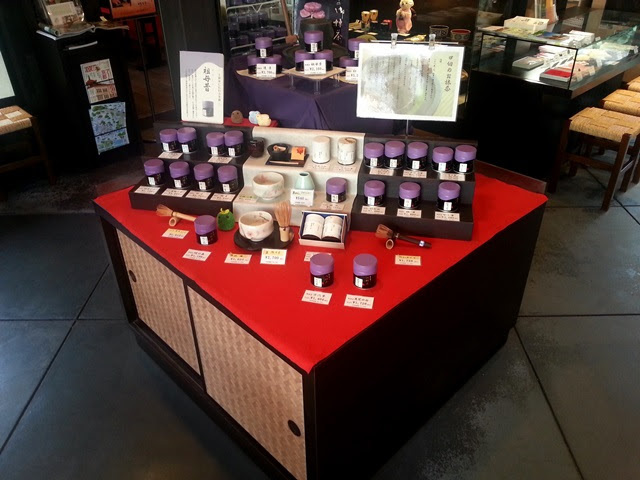 In addition to matcha and loose leaf teas, Kanbayashi Shunsho Honten is also known for its popular Ayataka bottled teas. 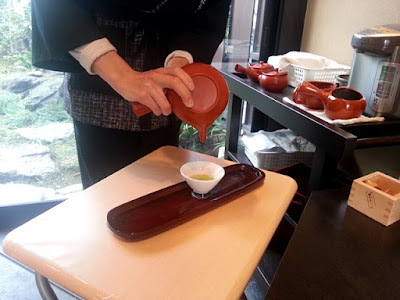 Visitors are greeted with a sample of freshly prepared tea. I enjoyed the Baisen Hiirecha sencha sample so much that I had to take some home. 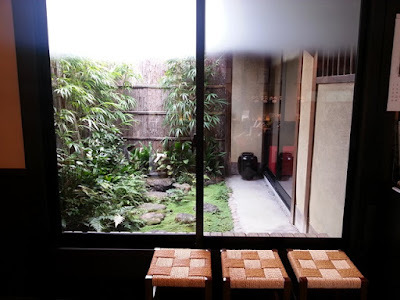 For visitors who want to relax with a cup of tea, there is an attached room with tables and chairs overlooking the lovely miniature tea garden.